And the new Dune just keeps getting spicier. Another big name has joined the cast of Denis Villeneuve's reboot of the epic sci-fi franchise with the addition of Javier Bardem. THR reports Bardem is headed to the faraway planet of Arrakis, where he'll play Stilgar, leader of the nomadic Fremen tribe and one of the many mentors to Paul Atreides, the lead character played by Timothee Chalamet. Also in the cast are Rebecca Ferguson, Oscar Isaac, Zendaya, Dave Bautista, Stellan Skarsgard, and Charlotte Rampling. Damn, son. Even I want to see this Dune and I am not a fan of Frank Herbert's novels or the David Lynch adaptation. 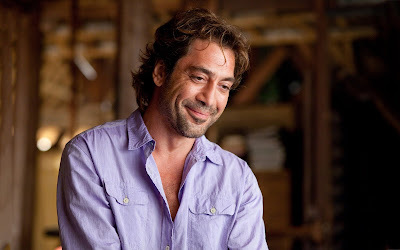 The addition of Bardem is obviously a big deal. He's an Oscar winner, thanks to his unforgettable turn in No Country for Old Men, and walks pretty regularly in dramatic and blockbuster territory. He can pretty much do anything, and makes this movie even better on paper than it already was. Dune begins filming later this year.